Setting up a health plan for your company can be a time-consuming and complex process. Due to the multitude of choices and information to absorb, many businesses prefer to work with an insurance broker to help guide them through the process. Among the options you will be presented with are HMO and PPO health insurance. While these insurances have some similarities, there are also distinct differences that could impact your decision. Speak with your insurance broker about the pros and cons of HMO and PPO health insurance and how each could help further your company’s objectives. HMO, which stands for Health Maintenance Organization is one of the most popular types of health insurance. These plans are designed to provide members with a wide range of healthcare services administered by in-network hospitals, doctors, and healthcare providers. These hospitals and providers have agreed to accept payment for services at a certain price, which allows the HMO to keep costs low. The only out-of-network services available to members are those sought out for emergency reasons. Under an HMO plan, members are typically required to choose a primary care physician (PCP) who will refer them to specialists for higher-cost services like surgeries and MRIs. As an HMO plan member, your PCP will take care of most of your healthcare needs. For this reason, you will need to get a referral from your PCP before seeing a specialist. Compared to other health insurance plans, HMOs are fairly versatile which results in lower out-of-pocket expenses. In some cases, you may be required to pay a deductible before your coverage begins. 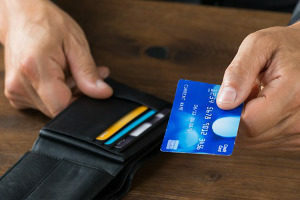 For many members, co-payments are minimal. Members will also have the convenience of not having to submit their own claims. The healthcare provider will usually do this for you. Affordable out-of-pocket costs: Regardless of how much medical care is needed, HMO members are required to submit a fixed payment each month. This differs from other types of health insurances which charge a percentage for each service provided. Small co-pays: Visiting some healthcare providers will result in no co-pay, while others require a minimal co-pay of between $5 and $20 on average. No deductibles: As an HMO plan member, you generally do not have to pay a deductible. Low premiums: HMO plans generally require members to pay a low premium compared to other insurance types. Focus on preventive care: HMO plans have a higher focus on preventive care and practice wellness and preventive medicine. Many times members will have access to free health education classes, health screenings, and health club memberships at discounted prices. Limited network: While you will have access to a variety of healthcare providers in nearly all specialties, not all providers are covered. While this is not a con for everyone, it can be a disadvantage for certain people who want to stay with an out-of-network provider. Strict PCP requirements: Under an HMO plan, you are required to choose a primary care physician who is in charge of the member’s general care. The only exception is emergency situations. PPO, or Preferred Provider Organization, is a health plan that offers a network of providers, similar to an HMO. These healthcare providers have agreed to provide members with care at a certain rate. One of the biggest differences between a PPO and HMO is that a PPO offers the freedom to receive care from any provider, both in and out of network. Also unlike an HMO, members with a PPO do not have to choose a PCP and do not need a referral to see a specialist. While you do not need to choose an in-network provider, members are encouraged to do so as in-network healthcare services are covered at a higher benefit than services that are out-of-network. 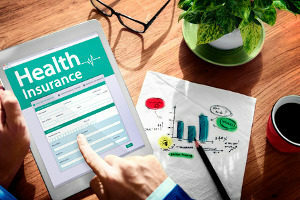 While PPO health insurance plans offer more choices when it comes to your healthcare, it typically comes at a higher cost. Members will usually face high out-of-pocket costs and your monthly premiums and co-pays will also be higher. As a PPO member, you will also be responsible for an annual deductible. No referral requirements: Many PPO members favor this type of insurance as no referrals are needed to see a specialist. This can save you money on co-pays and additional office visits. Do not have to file claims: As a PPO health insurance member, you will not have to file claims. As your providers and insurer have an agreement, they will take care of the payment process. Wider coverage: PPO plans often offer a wider range of services than HMO plans. This type of plan typically covers preventive care, such as physicals and checkups, as well as emergency care, hospitalization, prescription medications, outpatient surgery, and specialist treatments. 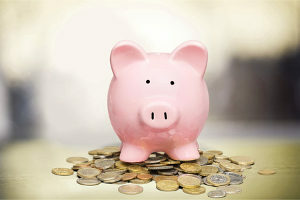 Higher overall costs: Under a PPO health insurance plan, you may face more out-of-pocket costs. You will usually be responsible for a co-payment, as well as an annual deductible. Self-claim filing: While your provider will file a claim for you if you see an in-network provider, you will be responsible for filing the claim if you visit a healthcare provider that is not in your network. When shopping for health insurance, you have a lot of options available to you. Of course, you want an insurance plan that will best benefit your employees without causing financial strain to your business. Contact a reputable insurance broker to help guide you to the best insurance plan for you.